What is the SUPRACOR treatment? The SUPRACOR excimer presbyopia treatment, developed by Technolas Perfect Vision, is a bilateral, varifocal LASIK solution designed to provide patients with good vision at near, far and all intermediate distances in both eyes. The varifocal SUPRACOR treatment uses a progressive ablation profile designed to provide a smooth transition from distance to near correction, eliminating segment lines, to allow viewing of all intermediate distances. Furthermore, SUPRACOR’s sophisticated algorithm provides the expected near addition while minimizing the induction of undesired aberrations within the pupil. SUPRACOR is designed for the full refractive treatment ranges and can be customized to individual patient needs. Results from a multicentre European evaluation on hyperopic presbyopes treated with SUPRACOR found that while all patients needed reading glasses preoperatively, 96% were able to read the newspaper and short messages without glasses at 6 months postoperatively. Similarly, 96% of patients were able to use the computer without glasses at 6 months post-op compared with 22% preoperatively. 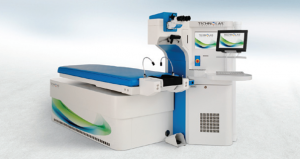 The SUPRACOR procedure is performed using the TECHNOLAS Excimer Workstation 217P, incorporating safety and precision features such as Advanced Control Eyetracking (ACE) Technology and iris recognition. SUPRACOR is as easy to perform as a LASIK procedure, and is suitable for subsequent enhancement surgeries. For more information on the SUPRACOR treatment, please download this brochure. SUPRACOR Patient Information is also available in Chinese here. © Copyright 2019 Lee Hung Ming Eye Centre. All rights reserved.